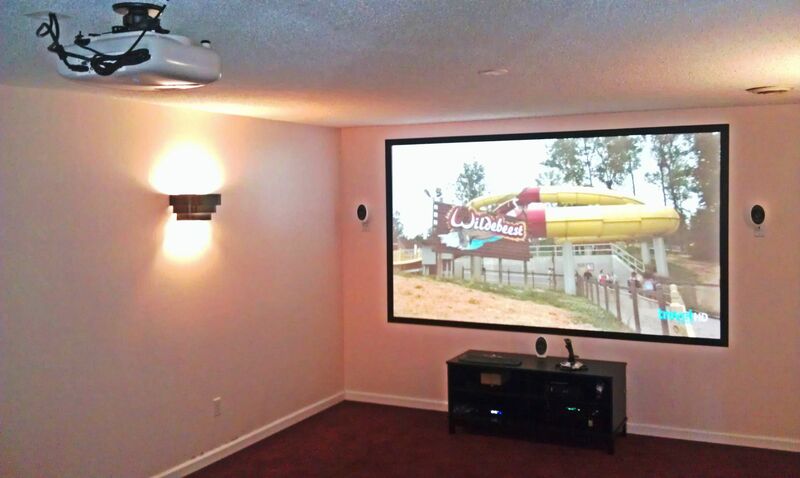 There are a lot of companies out there who will lead you to believe that you have to spend a lot of money to have a decent home theater room in your home. We’re here to tell you it isn’t true. We recently serviced a customer, we’ll refer to him as Mr. Smith. 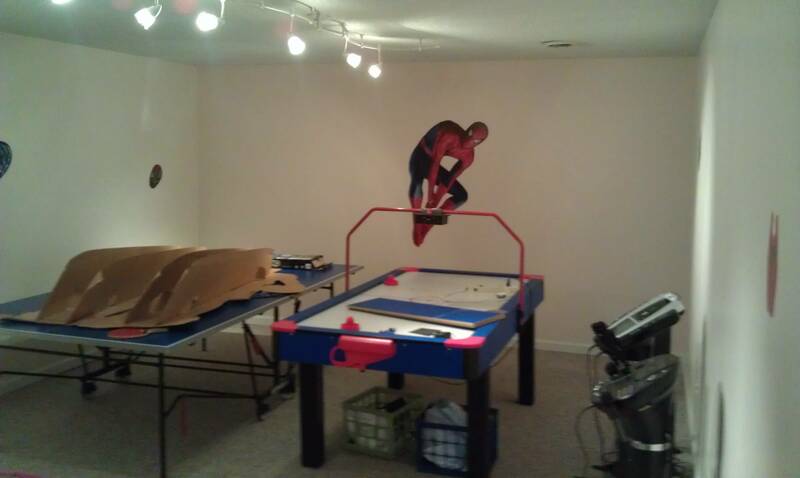 Mr. Smith wanted to turn his basement rec room into a full home theater room. The project entailed having an electrician install new wall sconces with a dimmer switch as well as an electrical outlet in the ceiling for the projector. It also involved having a handyman install a painted on projection screen, build a deck for elevated seating, and refinish the trim work in the room. After the carpet guys came in and re-carpeted the room, including the new elevated seating deck, we installed all the A/V components. We mounted the projector to the ceiling, mounted the surround sound speakers on the walls, concealed all cabling and wires for the entire system, configured the sound and picture and consolidated the entire system onto one remote control. When all was said and done, Mr. Smith ended up with a 120″ high definition screen with full Dolby Digital surround sound, and he came out spending less than $10,000 for the entire setup. A budget conscience customer could conceivably have a similar job done for under $5000. I hope this sheds a bit of light on what might be possible in your home. Feel free to contact us for a consultation on your project. Remember; Call and we’ll come to the rescue! And for more images of this job check out our Facebook Page.